It’s that time of year when the weather starts warming up and we begin to think about lighter layers and switching our winter woollies for our summer styles. But if like me, your old addled memory can’t quite hurl itself back to last spring to revisit what you were wearing back then, it’s time to have a think about those closet staples that should be the backbone to your wardrobe armoury. These pieces are perfect for helping you segue from one season to the next and often become your go-to uniform on a daily basis, so here are my 7 spring closet staples. Dress Massimo Dutti, beaded bag & Other Stories, belt J.Crew. 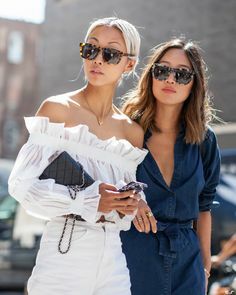 Although there are always a bunch of new season trends (catch more on our recent SS19 trend report here), your spring closet staples are those pieces which work well with each other as well as working as stand-alone pieces in their own right. For me this starts with a shirt dress. There isn’t a spring that goes by when I don’t get the ultimate spring feeling when I break out a shirts dress or two. This season look for midi to maxi lengths but also all sorts of choices from calm neutrals to funky florals, animal prints and beyond. The spring shirt dress is all about crisp clean lines, gorgeous button details and an optional belt to cinch in your waist to add a little curve detail to your silhouette. Next up it wouldn’t be spring for me without a Breton top. I know I keep banging on about these, but seriously nothing screams spring ready like these preppy cuties. This season they come in a bundle of colourways from bright pops of Crayola colours right through to your classic blue or black. Pair with white jeans, which also make it to my spring closet staples hit list (you can take the mummy out of Surrey and all that…). 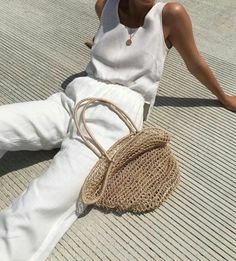 The good old white jean lost their joy for me a few seasons back, but with ankle cropping, flare boot crops and shredded hems abounding this season, I’m back on track with this yummy mummy classic. Blazer Anine Bing, slogan tee Ganni, jeans Lands’ End (gifted), Gucci slippers. Hot on their tails for the season ahead I’d add a check jacket and a slogan tee. This was a fashionista winner last spring and it doesn’t look like it’s going away any time soon. If you can snap up a check jacket with a little colour pop like this Anine Bing one and then match your slogan tee wording to that colour – in this case red, then you are off to the on-trend hall of fame. Whilst we’re on the subject of jackets, I’d also add a utility jacket to my list. They are super versatile for chucking over all manner of outfits once you’ve ditched your winter coat. A classic white shirt (preferably oversized) is a must for this time of year. Pair yours with anything from your beaten up jeans to a slim pencil skirt and style with a knotted front or a half tuck into your waistband for serious style points. Finally, I’m always a fan of a midi skirt any time of year. 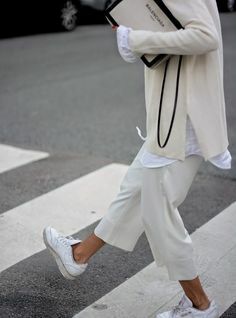 This spring look for pleats, florals, animal prints and silky satins to nail a few trends and style with a blazer or oversized knit and sneakers for street style nirvana. Spring Closet Staples… where to shop. So if you’re in the market to update your spring closet staples, here’s a smattering of pieces out there which caught my eye. Click the images to shop. #AffiliateLinks used.